Matt Siegel was MC for Craig and Carol. Giuliano photo. I split the pants of my Nudie's suit that night at Lulu's. 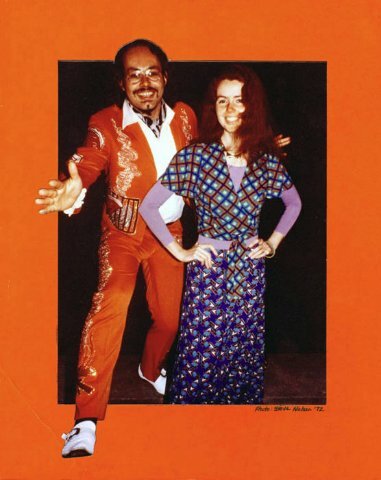 1972 photo with his wife Jan by Steve Nelson. 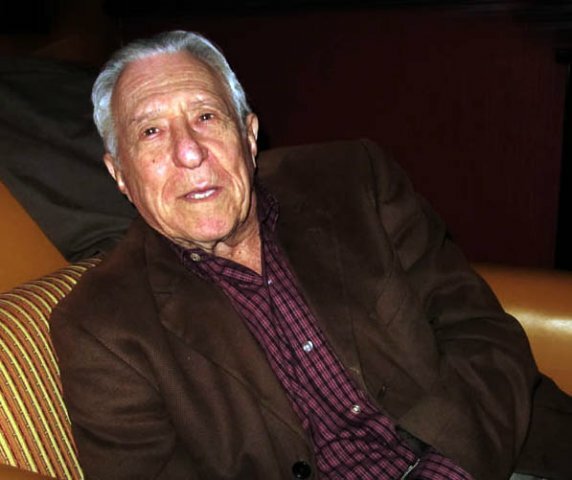 Club owner Chester English. All photos copyright C 2018 by Charles Giuliano. Chef Willard Chandler whipped up the gumbo. A lineup of all star artists. A tap on the shoulder. Channing on stage at Lulu's. The ambiance at Lulu's with Channing and Joyce DellaChiesa to her right. Ron at the head table with Carol. Ron introducing drum prodigy Terry Lynn Carrington. 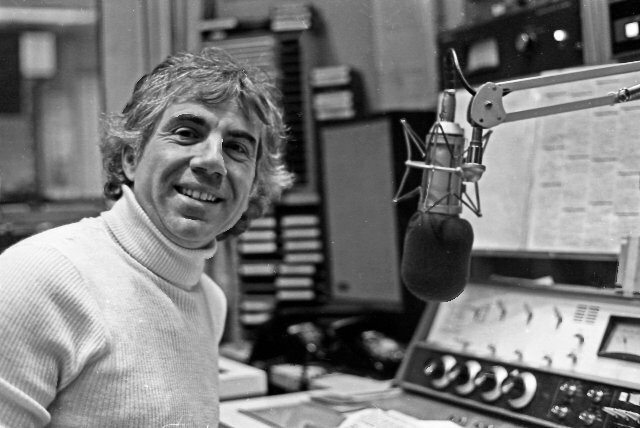 Ron Della Chiese hosted Music America for WGBH FM. Ron and club owner Sandy Berman. 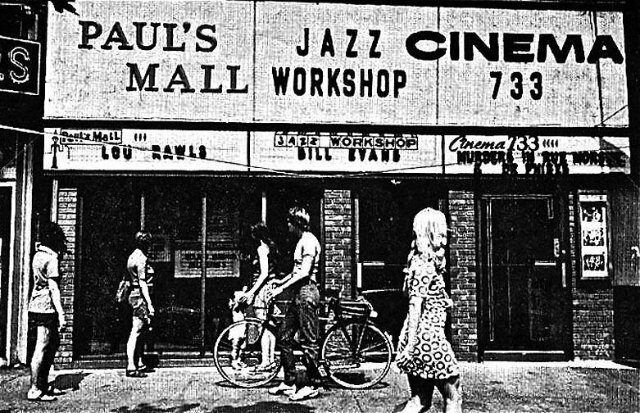 Paul's Mall and Jazz Workshop on Boylston Street. Cole Porter wrote a song for Madam Bricktop. 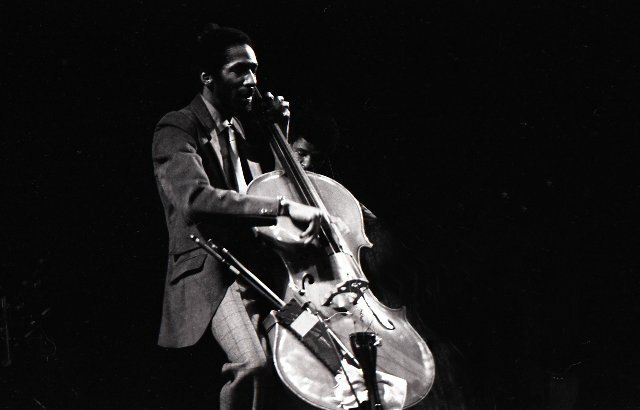 Ron Carter did club dates when not on the road with Miles. 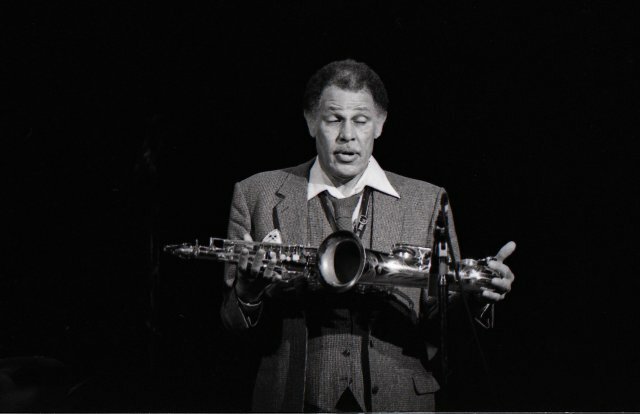 A salute from Dexter Gordon. 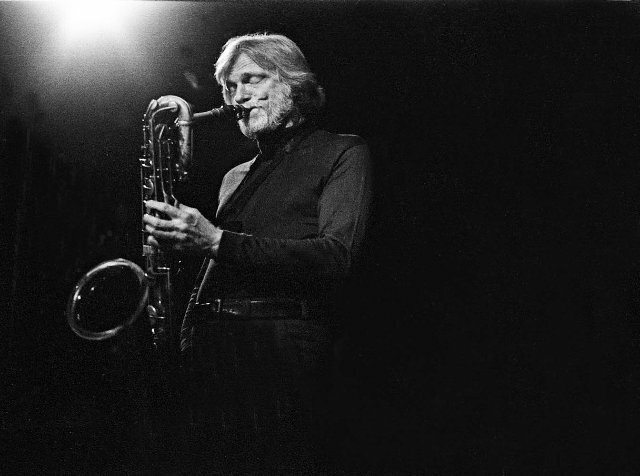 Gerry Mulligan did numerous club dates. 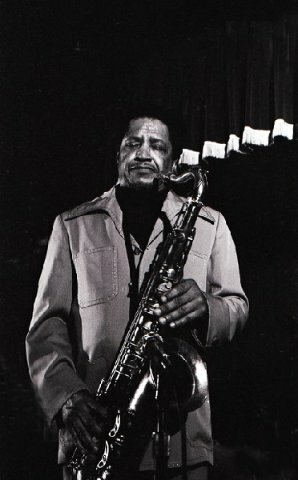 Freddy Hubbard was regarded as the heir to Miles. 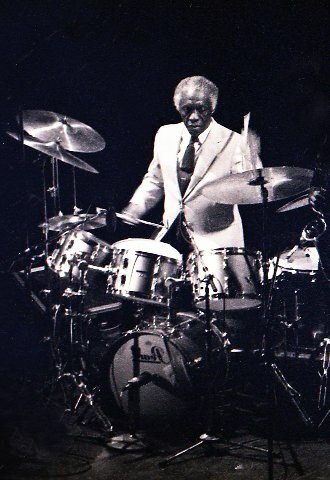 Many artists broke in with Art Blakey's Jazz Messengers. 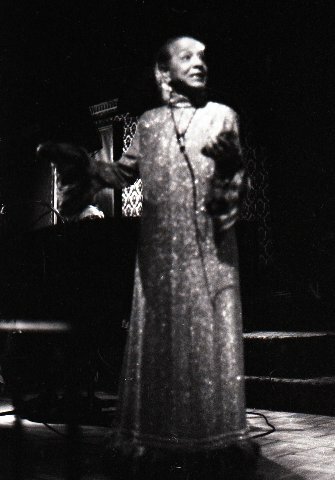 Connie Kay had an understated style with MJQ. 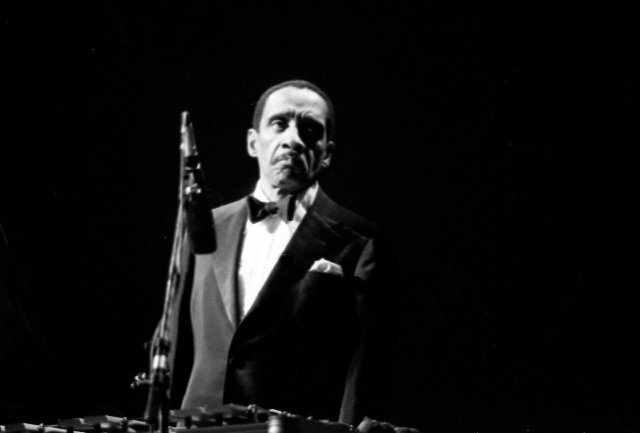 Milt Jackson played vibes with the MJQ. 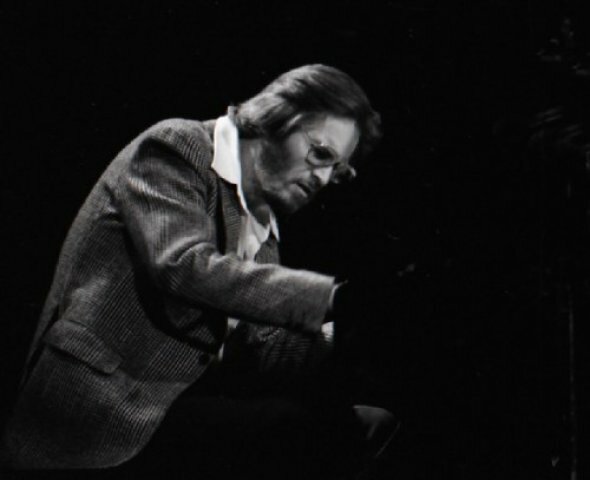 Piano player John Lewis of MJQ. 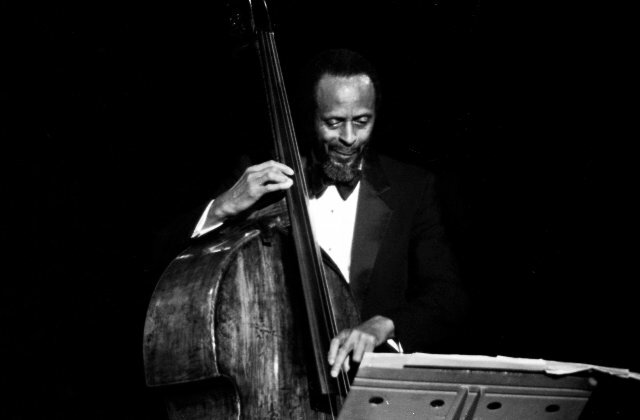 Percy Heath was the fourth member of MJQ. Shearing was a frequent performer. 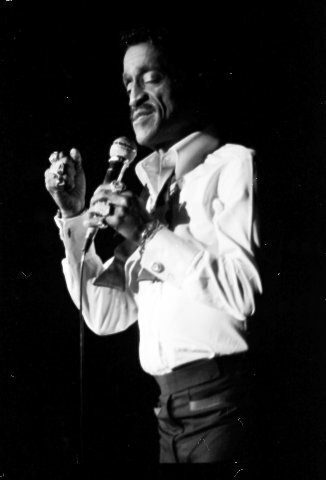 A club appearance by Sammy Davis, Jr.
Once a week Herb Pomeroy led his big band at The Stables. 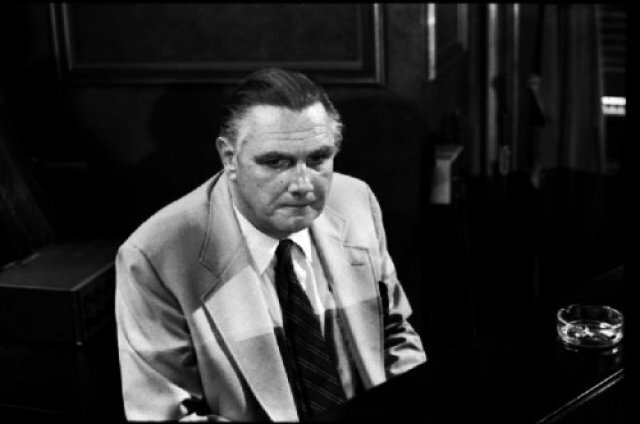 Pianist Dave McKenna commuted from Providence. 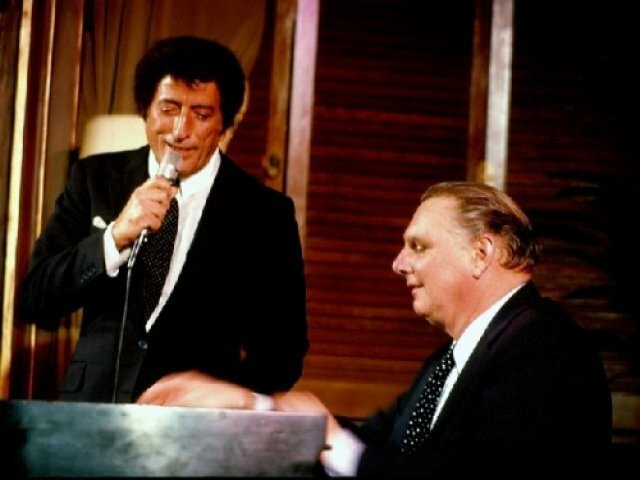 Dave and Tony Bennett at the Copley Plaza. 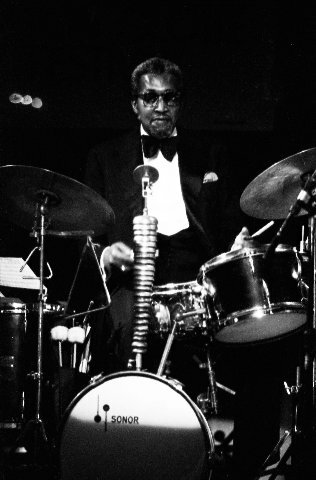 Boston drummer Al Dawson performed many club dates. 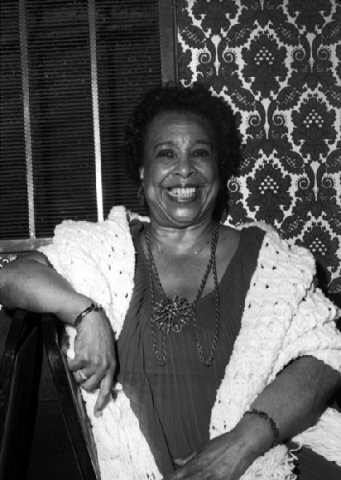 Former Basie vocalist Helen Humes between sets. 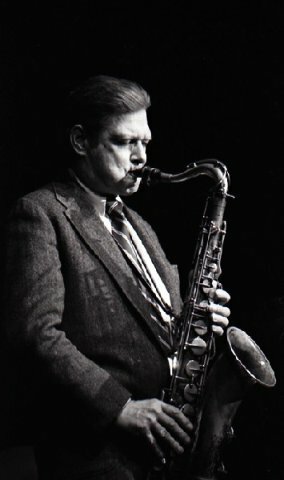 Zoot Sims was one of Woody Herman's Four Brothers. Like Count Dracula there was a time when I prowled at night and slept by day. 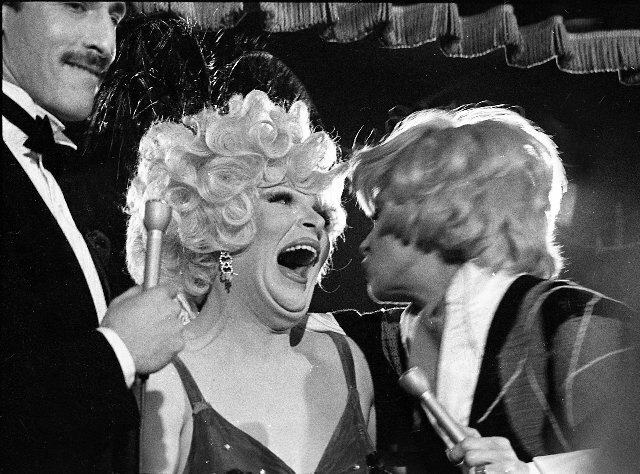 It was a golden age for jazz and cabaret clubs in Boston. 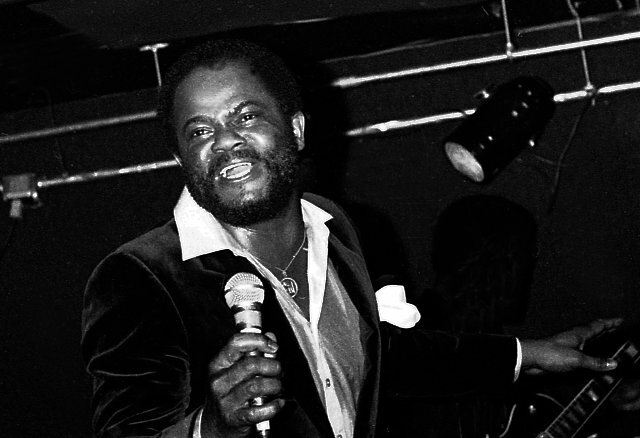 Before my time there were legendary after hours clubs in Roxbury like the Pioneer and jazz at Estelle’s. 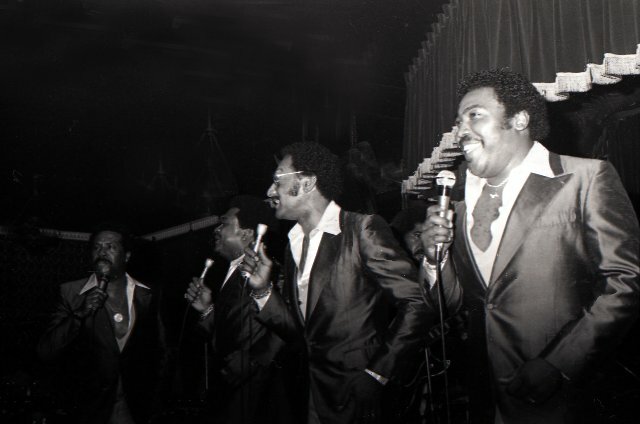 Small clubs like Connely’s had house trios and brought in featured artists for weekend gigs. 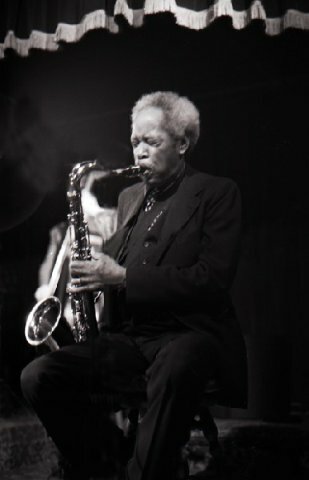 Just a teenager Tony Williams was the drummer and tenor player Sam Rivers was a regular. 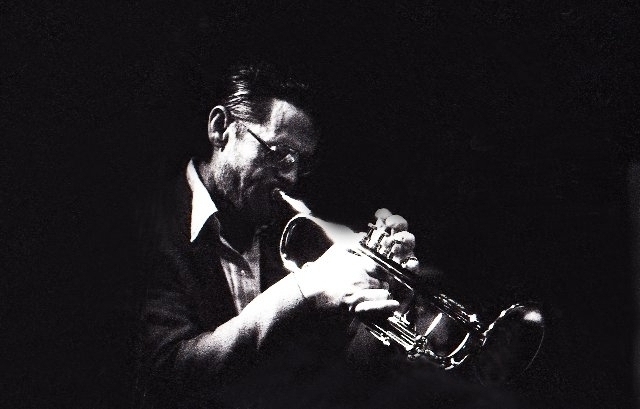 Both later played with Miles Davis. 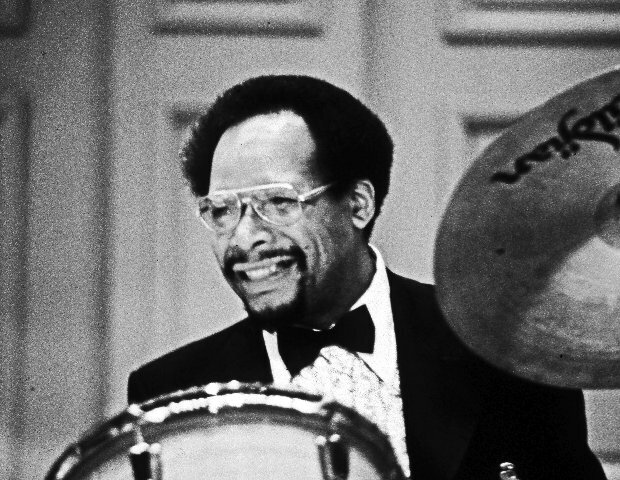 During the 1970s and 1980s Al Dawson was the go to drummer and Ray Santisi or Dave McKenna tickled the ivories. Sometimes cats passing through like Basie drummer, Jo Jones, just hung in to pick up local gigs when off the road. 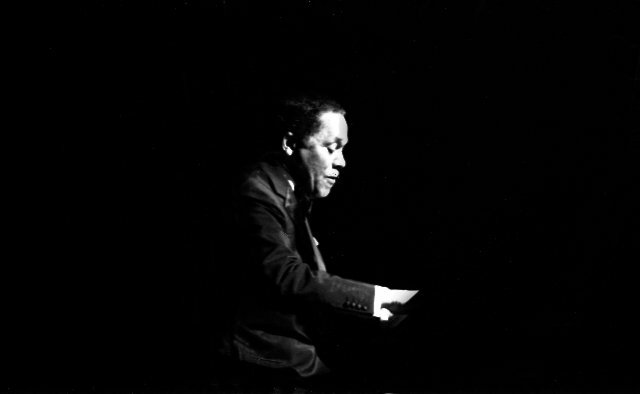 As a teenager I heard Duke Ellington at George Wein's club Storyville in Copley Square. Around the corner was the trad Mahogany Hall. 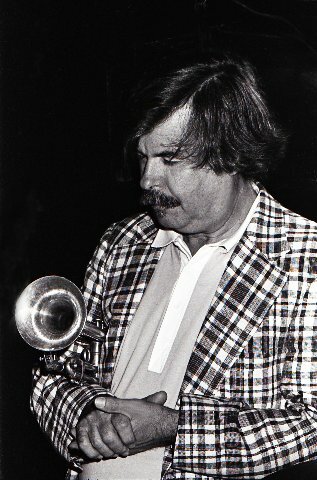 Across the street at The Stables once a week Herb Pomeroy led his big band that included baritone player Serge Chaloff. There was a critical mass and ambiance as aficionado nightcrawlers made the rounds. A running buddy was WGBH DJ, Ron DellaChiesa. 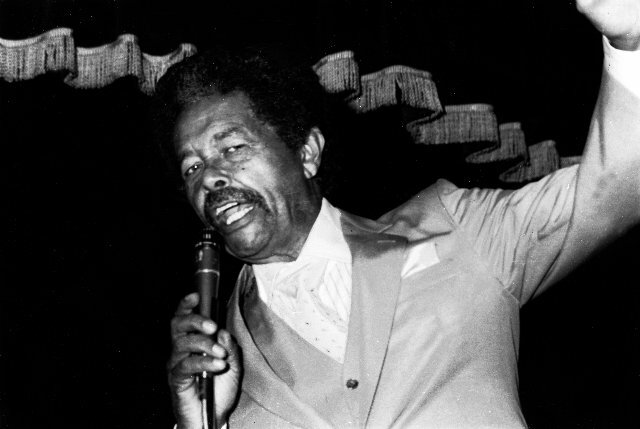 We hung tight and I was a frequent guest invited to spin platters and weave tales on his show Music America. Many of the artists working the clubs fell by for on air chats. 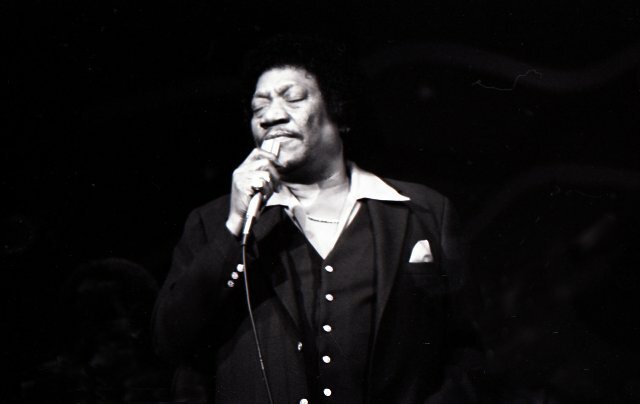 Anchoring the scene were Freddy Taylor’s Jazz Workshop and Paul’s Mall on Boylston Street. Visiting musicians would stay across the street at the Hotel Eliot. That’s where I hung out with Duke Ellington and Miles Davis. Out of town were Lennie’s on the Turnpike and Sandy’s Jazz Revival in Beverly. That was a bit of a schlep. 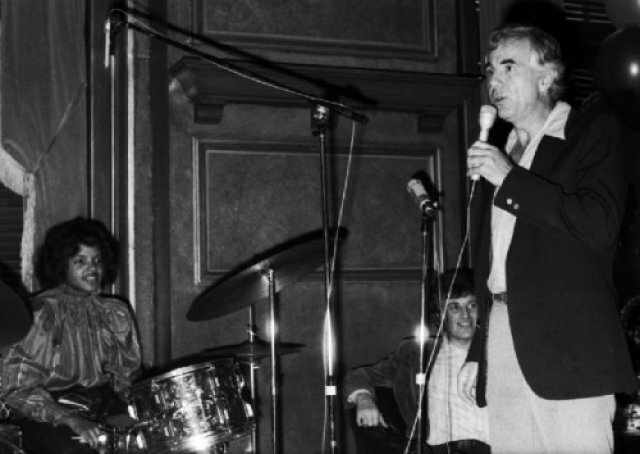 Jay Leno, a local comic, was Lennie’s opening act and Buddy Rich was a regular with his big band. 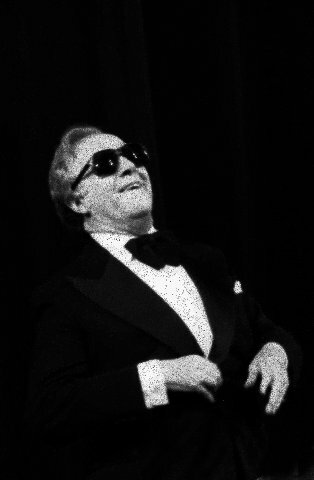 In the tiny green room Buddy in his skivvies, with a towel over his shoulders, would tell me about Vegas and appearances with Johnny Carson on the Tonight Show. Managed by Mr. Clinton, a Cambridge hair dresser, the Copley Plaza Hotel had a wonderful cabaret The Merry-go-round Room. On a turnstile the performers rotated 360 in the small room. At least some of the time you had the best seats in the house. Between sets Clinton arranged for one-on-ones with the performers. 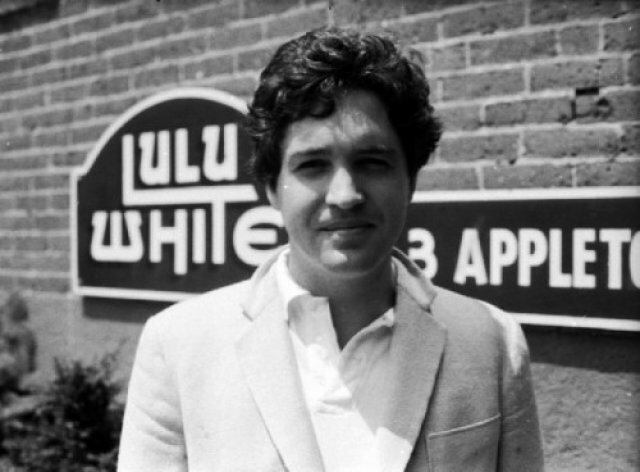 In the South End, from 1978 to 1982, was the jazz supper club Lulu White’s. Managed by Chester English, it was named for a legendary Storyville brothel in the Crescent City. 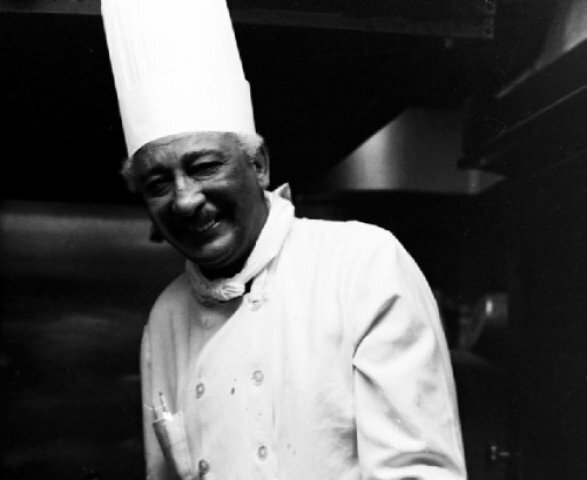 The chef, Willard Chandler, was known for his gumbo and down home cooking. 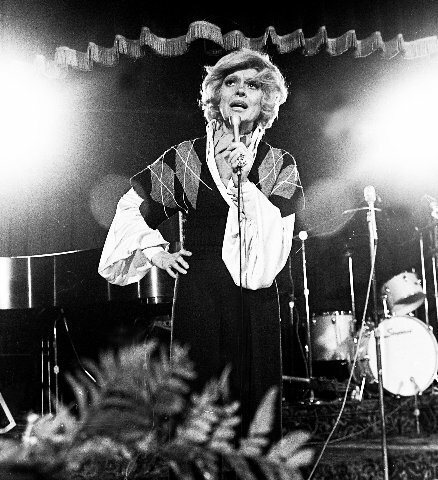 On the circuit we enjoyed all the great jazz, blues and cabaret artists now long gone. The artists have checked but I have been working with Photoshop and printing an archive of vintage images. Bringing those rare moments back to life has prodded so many vivid anecdotes. Currently, I am printing 40 images, from four decades of work, for an exhibition, Heads and Tales, this summer at Gallery 51 in North Adams. 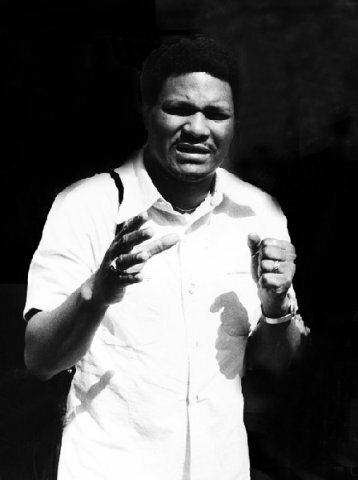 The curator, Arthur DeBow, selected from hundreds of photos in numerous portfolios. The Tales part of the show will be writing a wall text for each piece. With a keen eye he was interested less in the celebrity of the individual than in how the photograph engages the viewer and captures a moment. It has been a challenging project entailing reprinting images, tweaking and refreshing them as exhibition prints. In some instances that has meant going back through files to scan slides and negatives. 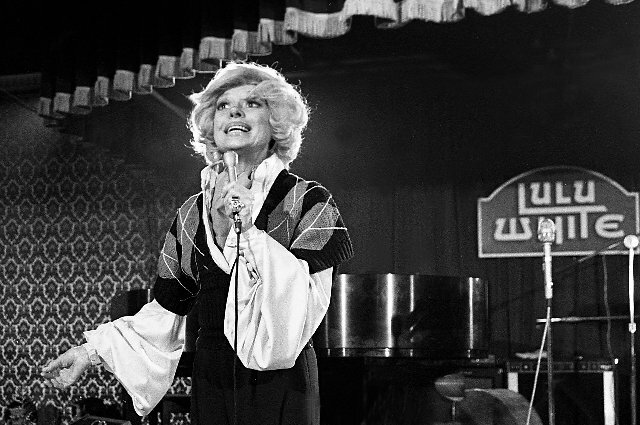 One of the images Arthur selected was Carol Channing performing at Lulu White’s. Not just focused on that shot I scanned several frames from that evening. Like Dorothy and Toto it blew me away to Oz in a twister of memories. As the fog of time settled it brought back the blast of a great night at Lulu’s. As I recall it was Halloween. For the occasion I showed up in my Nudie’s of Hollywood, star spangled, cowboy suit. 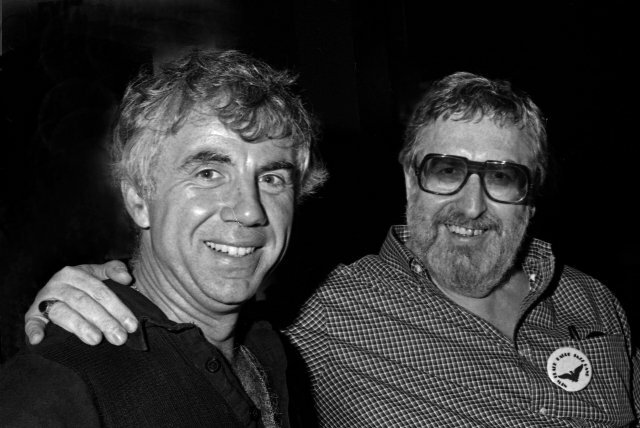 I picked it up, at the insistence of legendary PR guy, Norm Winter, when he flew me out to LA to hang with Elton John. The orange suit has the motif of steaks grilling and smoke running up the legs. 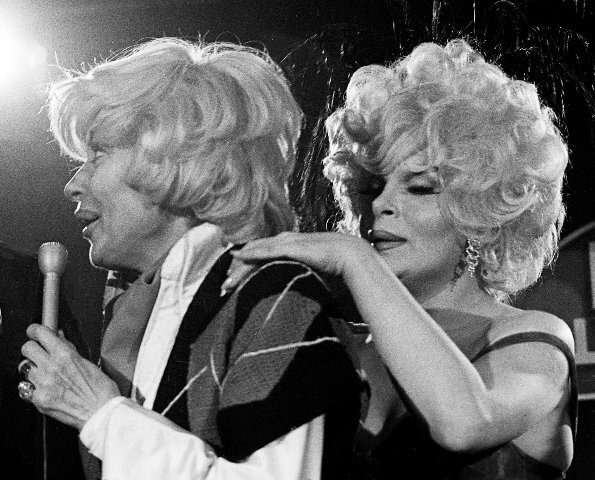 Canadian female impersonator, Craig Russell, was doing his signature Carol Channing riff. 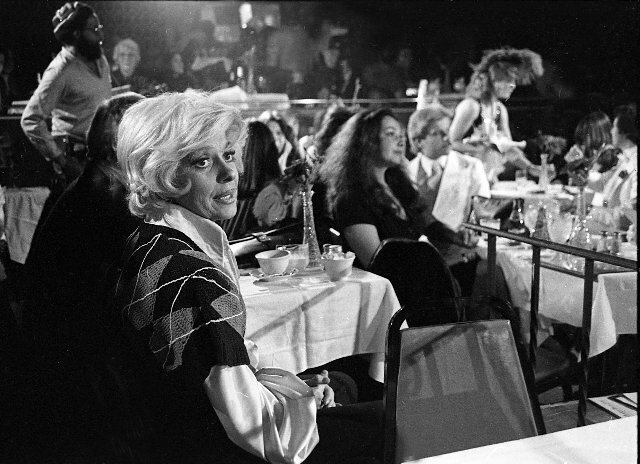 In the audience that night she popped on stage and they whooped it up. 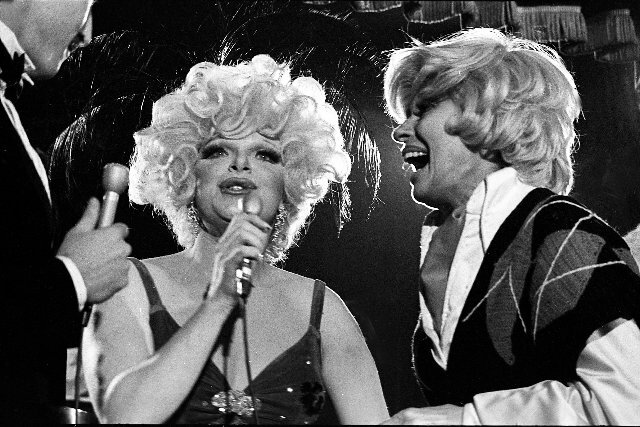 Russell (1948-1990) starred in “Outrageous” a cult classic film of drag culture. 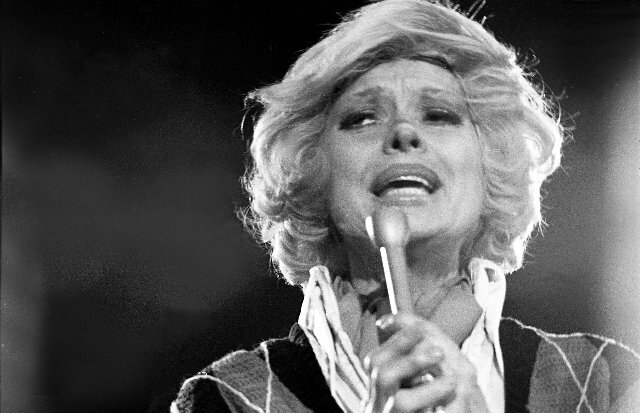 In that comical, child like, Tony winning manner Channing brought the house down with a rendition from “Hello Dolly.” She was in rare form that night. 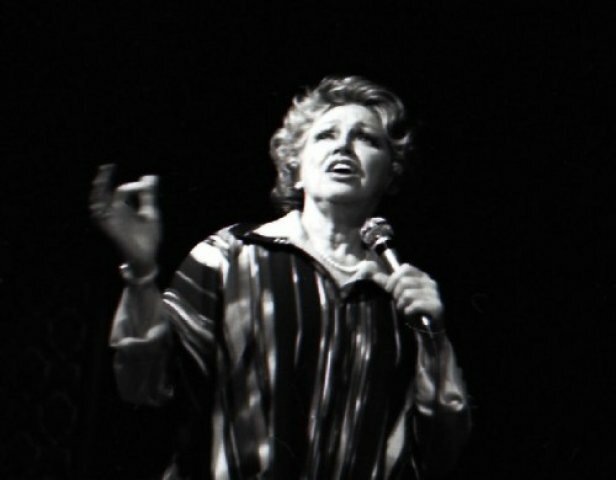 Channing (born January 31, 1921) is still with us but no longer performs. Enlarging a few frames evoked the ambiance of things that go bump in the night. Of course Carol was seated at Ron’s table. 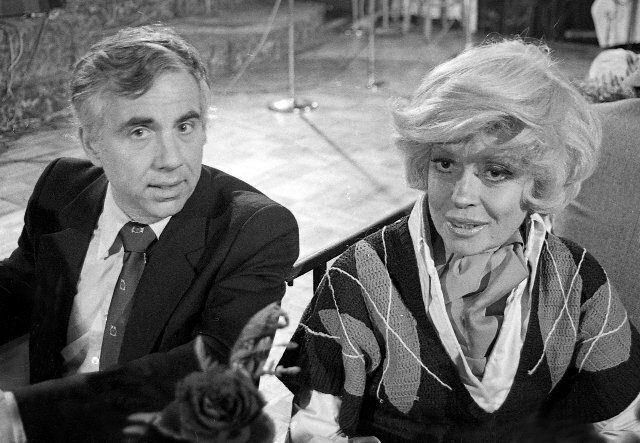 With him was his future wife Joyce. At the time she was chef at the Cambridge bistro The Turtle Café. Radio personality Matt Siegel was the MC that night. He’s in the shot with Carol and Craig. I was squatting down front to get a tight close-up. Then, cripes, it seems my pants split. Deftly, I exited the club with a strategically placed camera bag. I got fabulous shots that night but it was the last time I wore my cowboy suit. 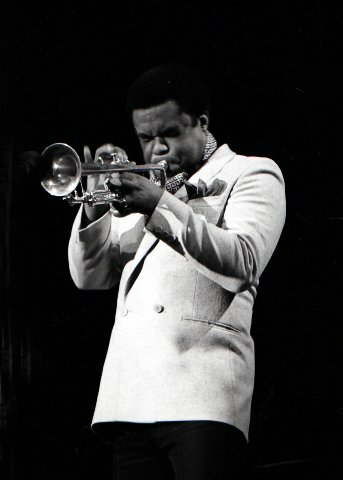 "charles, what an impressive portfolio of fotos of jazz greats (and not-so greats). 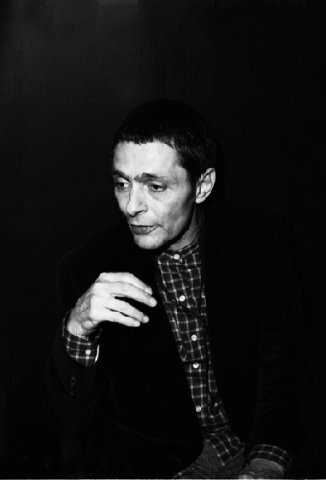 were you ever not present when something interesting was going in boston back in the day?" "Fab stuff-- your passion for back when! Excitement, intensity, caught clear, proud and loud. We're looking forward to Heads and Tales."